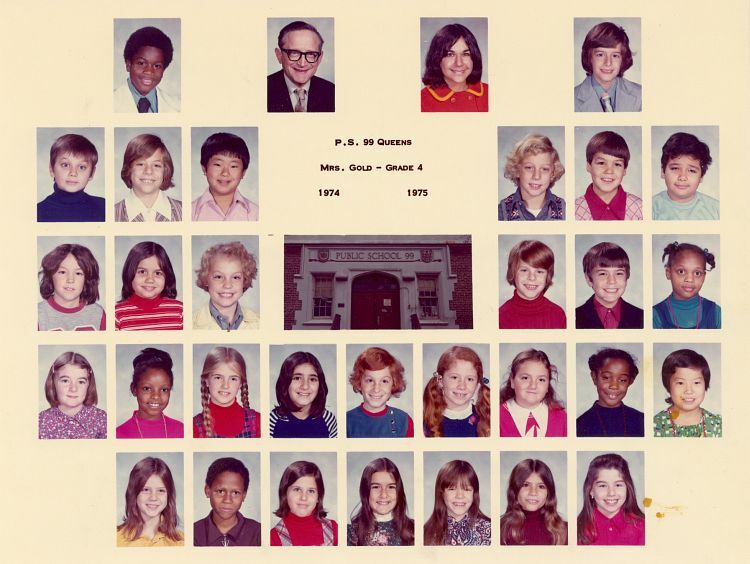 A Picture History of Kew Gardens, NY - Class Pictures - Grade 4 (1974). 2nd Row middle boy in red shirt is Bobby Vigil. Jonathan Zimmerman is the second boy from the left in the second row from the top. Guy Schlachter is the third from the right in the same row. The fourth girl from the left in the second row from the bottom is one of the Rahimi sisters. I think her name is Stacey. Stella was in my class. R1 first picture is Alex.